1/2" Compression X 3/8" O.D. X 12" Toilet Supply Kit with Standard Angle Stop with Cross Handle. 1/2" Compression X 3/8" O.D. 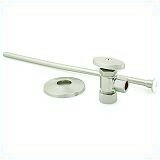 X 20" Toilet Supply Kit with Standard Angle Stop with Handle. 1/2" Compression X 3/8" O.D. X 20" Toilet Supply Kit with 1/4-Turn Angle Stop with Handle. 1/2" Compression X 3/8" O.D. 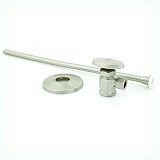 X 20" Toilet Supply Kit with 1/4-Turn Angle Stop with Lever Handle. 1/2" Compression X 3/8" O.D. 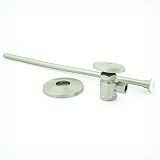 X 20" Toilet Supply Kit with 1/4-Turn Angle Stop with Cross Handle. 1/2" Compression X 3/8" O.D. 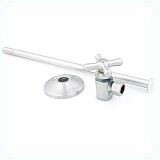 X 20" Toilet Supply Kit with Standard Angle Stop with Cross Handle. 1/2" Compression X 1/2" O.D. 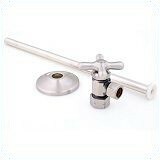 X 12" Toilet Supply Kit with Standard Angle Stop with Handle. 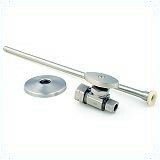 1/2" Compression X 1/2" O.D. 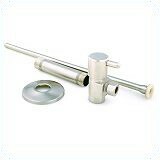 X 12" Toilet Supply Kit with Standard Angle Stop with Cross Handle. 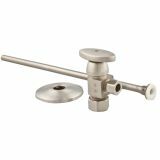 1/2" Compression X 1/2" O.D. 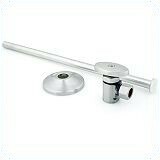 X 20" Toilet Supply Kit with Standard Angle Stop with Handle. 1/2" Compression X 1/2" O.D. 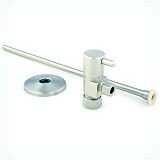 X 20" Toilet Supply Kit with 1/4-Turn Angle Stop with Handle. 1/2" Compression X 1/2" O.D. 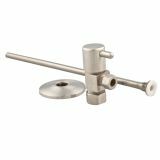 X 20" Toilet Supply Kit with 1/4-Turn Angle Stop with Lever Handle. 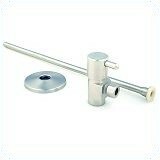 1/2" Compression X 1/2" O.D. 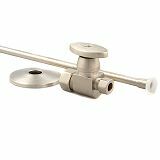 X 20" Toilet Supply Kit with 1/4-Turn Angle Stop with Cross Handle. 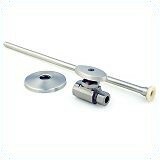 1/2" Compression X 1/2" O.D. X 20" Toilet Supply Kit with Standard Angle Stop with Cross Handle. 1/2" I.P.S. X 3/8" O.D. 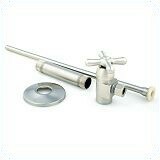 X 12" Toilet Supply Kit with Standard Angle Stop with Handle. 1/2" I.P.S. X 3/8" O.D. 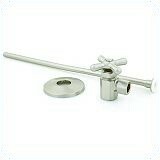 X 12" Toilet Supply Kit with Standard Angle Stop with Cross Handle. 1/2" I.P.S. X 3/8" O.D. X 20" Toilet Supply Kit with Standard Angle Stop with Handle. 1/2" I.P.S. X 3/8" O.D. 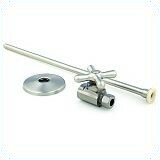 X 20" Toilet Supply Kit with 1/4-Turn Angle Stop with Handle. 1/2" I.P.S. X 3/8" O.D. 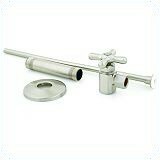 X 20" Toilet Supply Kit with 1/4-Turn Angle Stop with Cross Handle. 1/2" I.P.S. X 3/8" O.D. 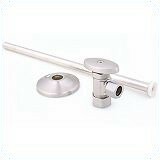 X 20" Toilet Supply Kit with Standard Angle Stop with Cross Handle. 1/2" I.P.S. X 1/2" O.D. 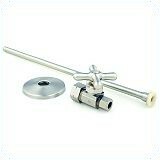 X 20" Toilet Supply Kit with Standard Angle Stop with Handle. 1/2" I.P.S. X 1/2" O.D. X 20" Toilet Supply Kit with Standard Angle Stop with Cross Handle. 1/2" Compression X 3/8" O.D. 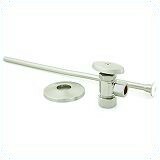 X 20" Toilet Supply Kit with Standard Straight Stop with Handle. 1/2" Compression X 3/8" O.D. 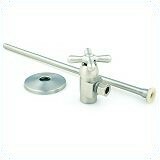 X 20" Toilet Supply Kit with 1/4-Turn Straight Stop with Handle. 1/2" Compression X 3/8" O.D. 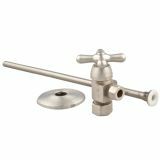 X 20" Toilet Supply Kit with 1/4-Turn Straight Stop with Lever Handle. 1/2" Compression X 3/8" O.D. 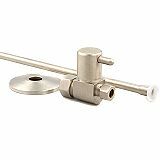 X 20" Toilet Supply Kit with 1/4-Turn Straight Stop with Cross Handle. 1/2" Compression X 3/8" O.D. X 20" Toilet Supply Kit with Standard Straight Stop with Cross Handle. 1/2" I.P.S. X 3/8" O.D. 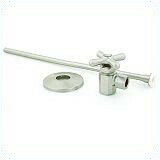 X 20" Toilet Supply Kit with Standard Straight Stop with Handle. 1/2" I.P.S. X 3/8" O.D. X 20" Toilet Supply Kit with Standard Straight Stop with Cross Handle.